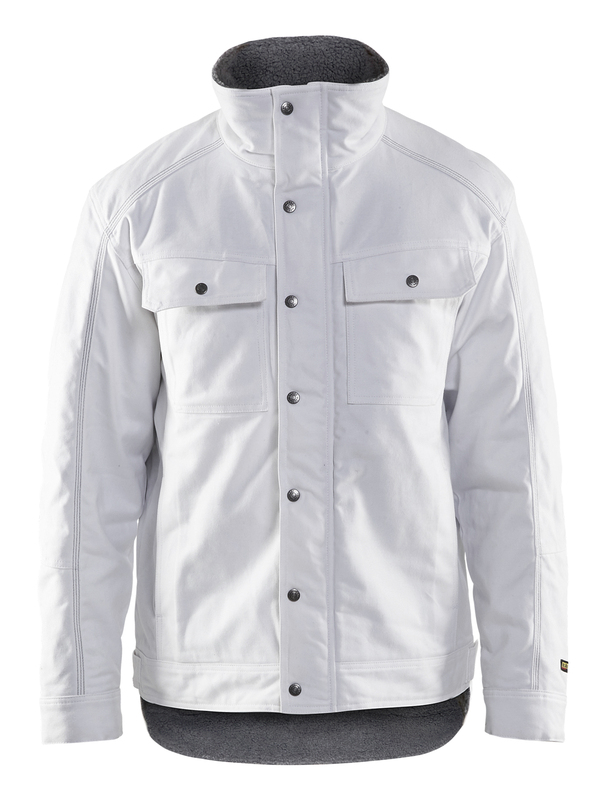 White painter’s jacket with the functionality needed for everyday working comfort. Cotton fabric provides excellent absorption capabilities, and has insulating pile lining with quilted lining in sleeves. 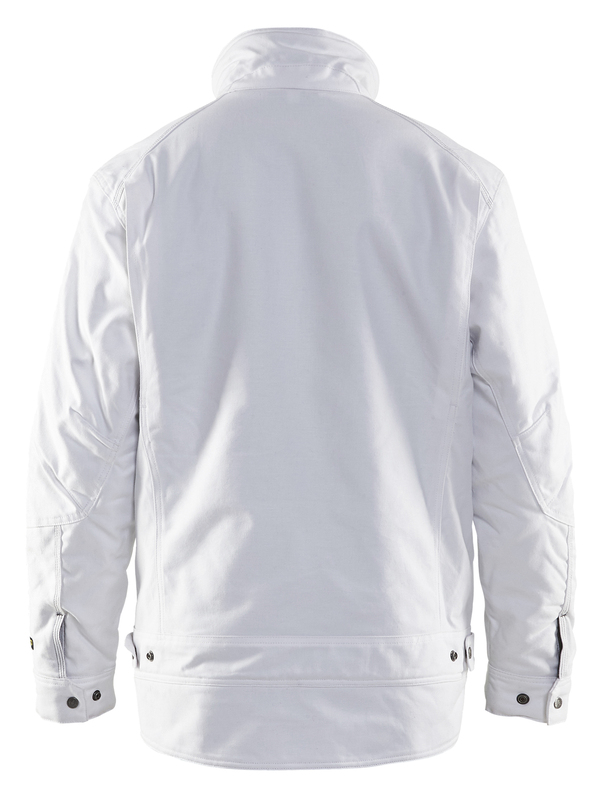 It’s the details that make the difference – the telephone pocket, extended rear panel, adjustable waist width. All for good working comfort. Retains its shape for additional comfort. Several colours available. Sanforized (pre-shrunk) cotton. Popular in engineering and service industries. Oeko-Tex®100 certified material.